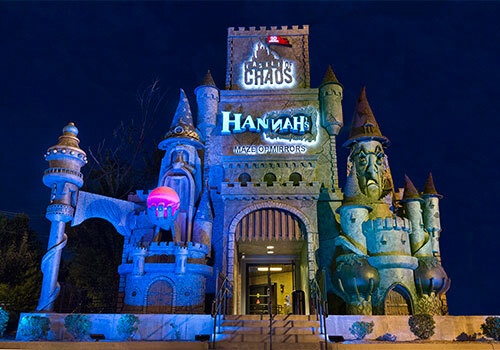 Castle of Chaos Branson is a thrilling experience that combines a 3D film, motion and an interactive shooting game. Feel the excitement of a whole new reality! 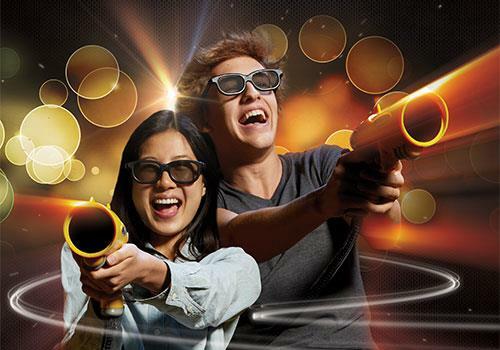 Just grab your 3D glasses, pick up your gun, and choose from two thrilling adventures where you’ll shoot for the highest score. What adventure will you choose? Interactive ride and game all in one. Located at Hollywood Wax Museum Entertainment Center. Pay attention to the preview video for ride details. Get Ready for a Whole New Reality! 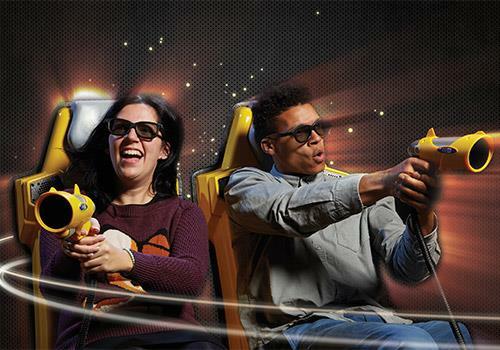 Buckle up and grab your 3D goggles for a non-stop, shoot-em-up ride that’s fun for all ages. 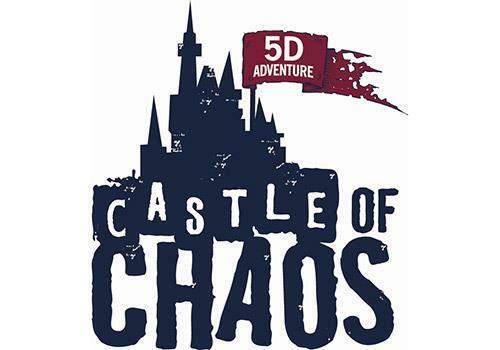 Castle of Chaos in Branson, MO brings you into a wild continuous 5D adventure where you’re seated but you feel like you’re moving through a whole new reality. Armed with your laser blaster, you’ll compete for the highest score. You’re surrounded at every turn by howls, screeches, crashes, rushing water, and so much more that makes you feel like you’re really inside the game. Winners are shown on the screen at the end of every ride. This delightfully intense experience – with up to 400 movements per second – will leave you shaking with excitement and ready for more! Grab your camera and join your favorite stars for pictures that will make the best Branson vacation postcards! When you see the Great Ape of Branson on Highway 76, you’ll know you’re in the right place for A-list fun and A+ photo ops! The ride combines 3D film, ride motions, and video game concepts and effects for a one-of-a-kind haunted house experience in Branson. The nature of this ride includes sharp movements in a secured chair, frightening imagery, and near or total darkness. Riders are immersed into the ride through sights, sounds, smells, and touch. Parents, please accompany your child on the ride or make a judgment call regarding your child’s participation in the attraction. Castle of Chaos is located at 3030 W. 76 Country Blvd Unit B, Branson, MO 65616. Castle of Chaos opens daily at 8:00 am and closing times vary by season. Yes, please call customer service at 1-800-590-0155 for additional information.